I am so excited to share with you that DecoArt Media Products will now be available in Joann's Online store and selected Joanns stores in selected areas. Is that exciting!!!! I am so thrilled because comparatively you receive a lot of bang for the buck you might say. 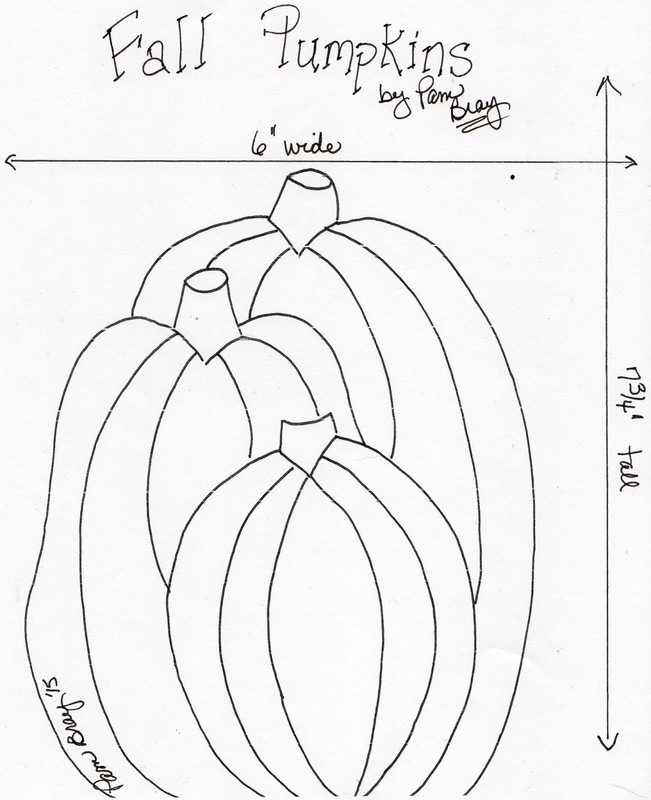 I have included a free drawing of my pumpkins so you can recreate your own board!!! So enjoy my step out photos of my Welcome Fall Board. Paint board with Black Gesso, dry. Apply Crackle Paste to dry board with palette knife. Allow the Crackle Paste to dry completely. Mix 2 part Tinting Base and 1 part Colbalt Teal Hue. Paint over dry Crackle Paste. Allow to dry completely. Stamp Industrial Stamp image on prepared board using Carbon Black. Allow to dry. Shade stamped board with Colbalt Turquoise. Allow to dry. Apply White Gesso over Whirlpool Stencil using palette knife. 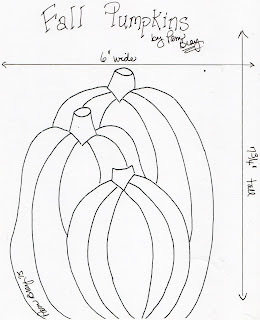 Trace pumpkins on chipboard with pencil. Paint pumpkins with Colbalt Black. Allow to dry. Apply Crackle Paste with palette knife. Allow to dry. Paint stems Green Gold, dry. Shade with Yellow Green Light, dry. Stamp prepared pumpkins with Industrial image and Colbalt Black. Allow to dry. Paint the tallest pumpkin with Vermilion, dry. Paint the medium pumpkin with Pymole Orange, dry. Shade with a mix of Vermilion and English Red Oxide, dry. Shade the medium pumpkin with Vermilion, dry. Paint smallest pumpkin with Cadmium Orange Hue, dry. Shade smallest pumpkin with mix of Orange Hue and Naphithol Red Light, dry. Highlight pumpkins with Hansa Yellow Medium using stencil brush, dry. Paint "fall" letters in Yellow Green Light, dry. Shade in Phthalo Green Yellow, dry. Stamp "fall" with Industrial image and White Gesso, dry. Using Sakura Micron 005 Pigma Black Pen, do random lines around letters. Using a Sakura Micron 005 Pigma Black Pen, do random lines on pumpkins. Adhere Pumpkins to prepared board with Americana Decou-page Matte. Adhere "fall" letters to prepared board with Americana Decou-page Matte. Spray white card stock lightly with Red, Orange, Yellow Green, and Yellow DecoArt Media Misters. Repeat until paper is covered. Dry. Using Fall Foliage leaf die cut out 6 leaves. Crumple leaves up and place on front of pumpkins. Add twisted wire to front of pumpkins. Join us on DecoArt Inc Blog....HERE!!! Check out DecoArt Online Education Program...HERE!!! Stay connected by signing up for DecoArt Newsletter...Here!!! Oh my word! This is so amazing. You are soooo talented. You surprise me at every post! Look at you go! Great job, Pam!! Love the Fluid Media Acrylics...they're amazing! Way to go Pam! Great work! So awesome Pam! Love it! Oh my God, this is beautiful. You always do such amazing work! Thanks for the step by step tutorial.